Israeli Prime Minister and leader of the Likud party Benjamin Netanyahu. 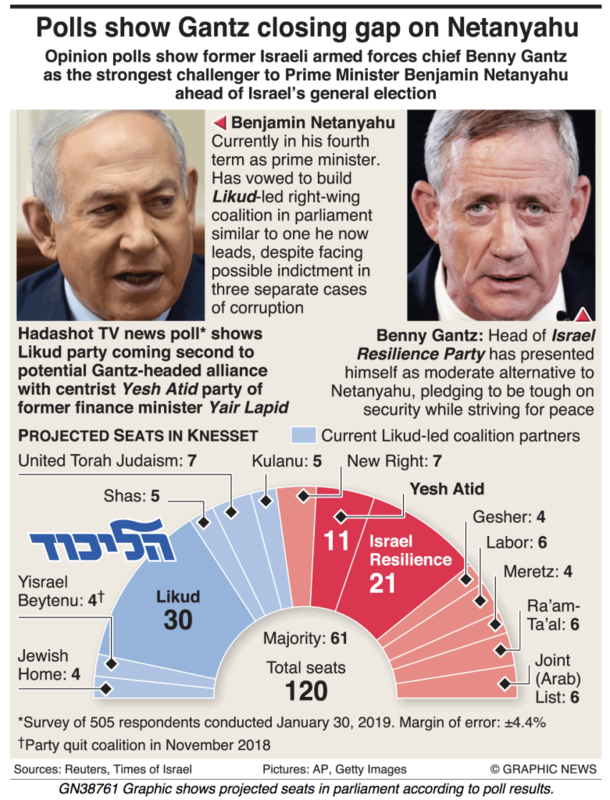 Opinion polls show former Israeli armed forces chief Benny Gantz as the strongest challenger to Prime Minister Benjamin Netanyahu ahead of Israel’s general election in April. Four opinion polls on Israeli TV and news websites on Wednesday showed a boost for Gantz’s new centrist Israel Resilience Party at the expense of centre-left rivals. But it was still running second to Netanyahu’s right-wing Likud, Reuters said. 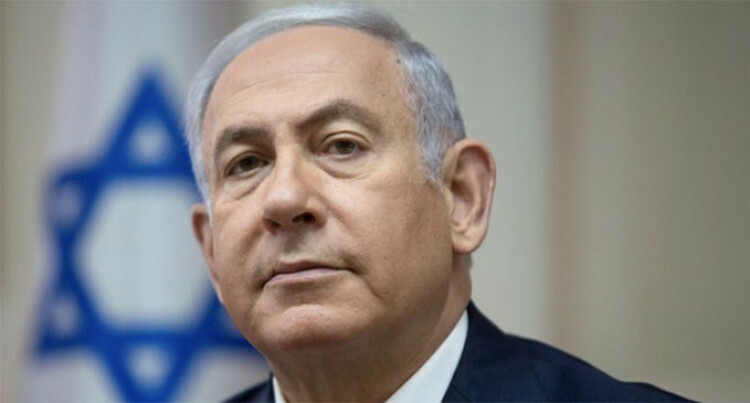 The surveys gave Gantz’s party between 19 and 24 seats in the 120-member parliament – up from around 12 to 15 in previous polls – compared with 29 to 31 for Likud, about the same number as in earlier forecasts.